There have been recent rumors that Google has been terminating publishers for not updating their privacy policies. The week prior to that post, we polled our audience, asking if they have updated their privacy policies to comply with Google's guidelines. 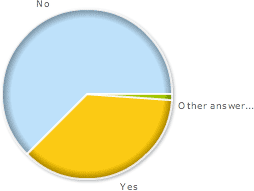 The majority of those who answered the poll said, they did not update their privacy policies.